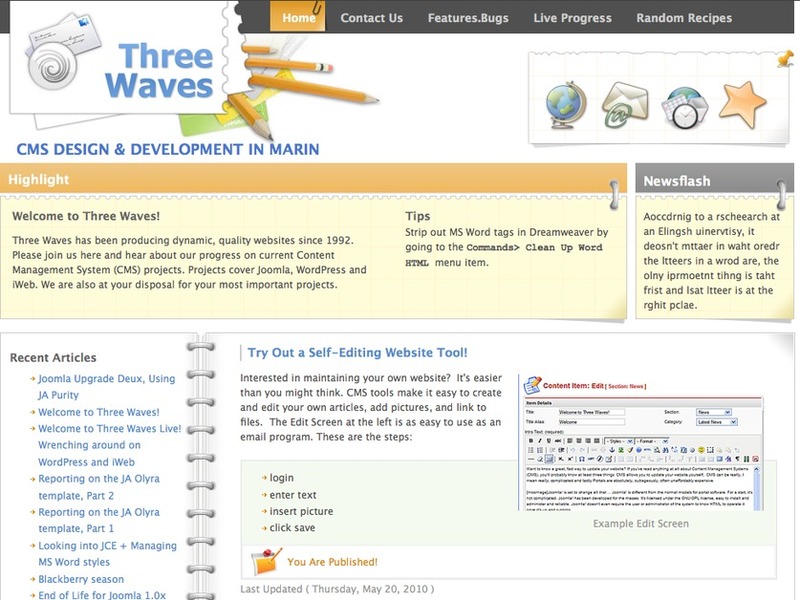 Welcome to Three Waves! Producing dynamic, quality websites around the SF Bay Area since 1992. Projects cover a broad range from corporate financial to startup. Please visit us at our website and take a look! We love Content Management System (CMS) projects. Projects cover Joomla, WordPress and iWeb.